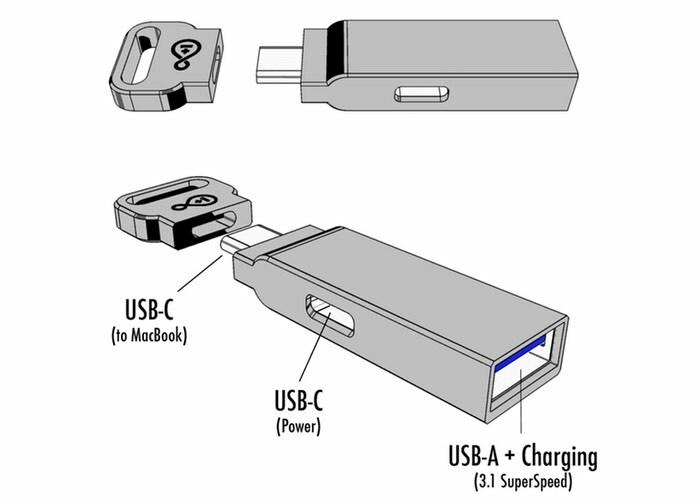 MacBook owners that are lucky enough to be equipped with the new USB-C connection but are looking for a small hub that can be attached to a keyring and offers a USB-A and 3.1 supercharging port. Might be interested in the device that is being created by Plus 1 Ideas called the GoHub, which has been created to provide users with the ultimate USB-C solution for your new Macbook. 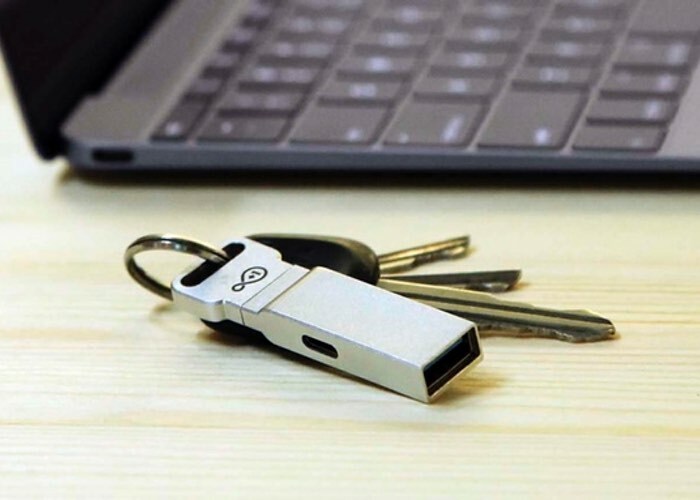 GoHub is the world’s smallest USB-C hub that clips on your keychain. With GoHub, you no longer have to worry about bringing adapters with your new Macbook. Your new Macbook is designed for ultimate portability and elegance. Leave the clumsy adapters at home. Just grab your MacBook and go – Your ports will always be there when you need it. Charging your phone with GoHub is ultra fast as it draws power directly from the MacBook’s power adapter (instead of from the MacBook). Get up to 128GB of extra storage for your MacBook with GoHub. GoHub’s form-fitted, nano-sized flash drives are ultra fast (USB 3.1) with a tested transfer rate at up to 135MB/s (read) and 56MB/s (write) – Check out the prototype testing video below for the actual speed test. The GoHub project is currently over on the Kickstarter crowd funding website looking to raise $35,000 in pledges to make the jump from concept to production. So if you think GoHub is something you could benefit from, visit the Kickstarter website now to make a pledge and help GoHub become a reality via the link below.